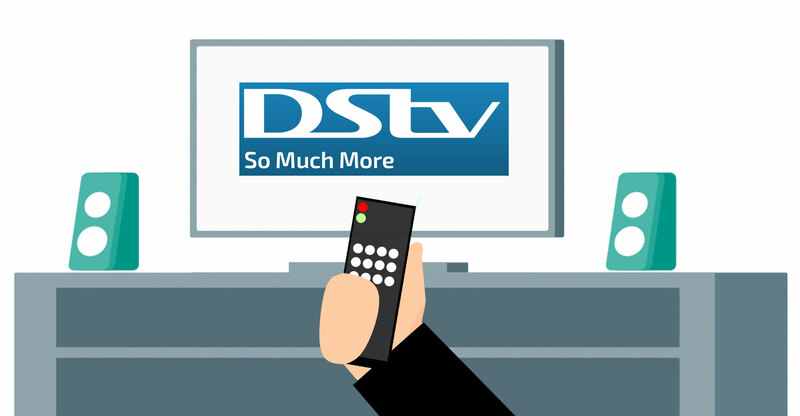 You are at:Home»In-depth»Should you be buying MultiChoice shares? 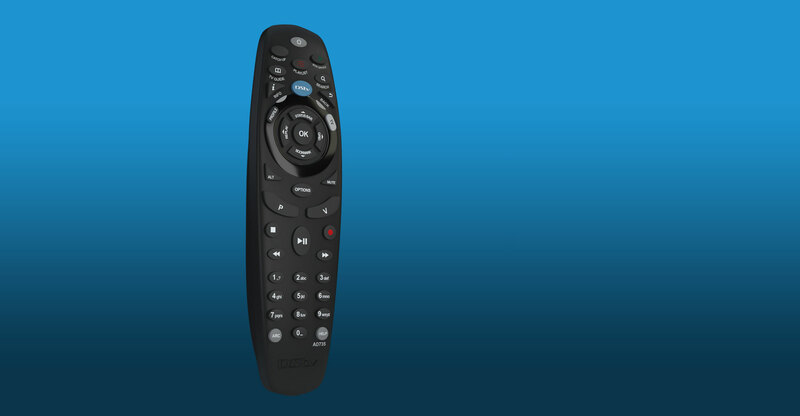 Should you be buying MultiChoice shares? February saw Africa’s largest pay-television operator, MultiChoice, unbundled from its parent company Naspers and listed as a separate entity on the JSE. Opinions vary on whether going it alone is a blessing or a curse for the digital entertainment pioneer — and whether investors should throw out or add to these odd-lot shares in their portfolios. Despite some short-term potential headwinds, there may be a long-term investment case to be made for the group. There are few long-established companies in the world that have been able to keep transforming over the years to the extent global Internet and media behemoth Naspers has. From its humble beginnings as a newspaper business in the early 20th century, the group branched out into pay TV in 1986. The first pay-TV operator to be launched outside the US, MultiChoice, in turn, planted the seeds for the Naspers group’s impressive portfolio of consumer Internet businesses, including China’s Tencent and OLX Group. The Naspers share price has grown exponentially on the back of its successful investments. However, over the past decade, the share has failed to keep up with the growth in the value of its investments, resulting in a large discount to intrinsic net asset value. For many years, Naspers relied on the cash flows from MultiChoice to allow the group’s Internet ventures to grow in scale. Tencent has been profitable, but it has paid a relatively small dividend to Naspers while the rest of the Internet businesses have made a loss in aggregate. Then, in 2018, Naspers suddenly found itself with a US$10-billion pile of cash following the sale of 6% of the group’s Tencent shares and the disposal of Indian online retailer Flipkart. At the same time, the group’s next growth engine, online classifieds, was starting to achieve profitability. For the first time, Naspers was able to live without MultiChoice, and the pay-TV operator could now be unbundled to shareholders as part of a wider strategy to unlock the discount in the share price. The MultiChoice Group was listed as a separate entity on the JSE on 27 February, with Naspers shareholders each receiving one MultiChoice share for every one Naspers share owned. Let’s consider the profile of the newly listed broadcaster. Since Naspers launched its pay-TV operation 32 years ago, MultiChoice has built its success on quality content that includes a leading local offering, sports broadcasting rights and access to top international studios. It has a fully invested network that can provide a high-quality and fully encrypted signal to a large number of households in sub-Saharan Africa via satellite dish or digital terrestrial network in key major cities. Scale provides an important competitive advantage in this business, as it enables operators to spread the cost of content over a larger subscriber base. As the largest player in its various markets, MultiChoice has a key competitive advantage over potential rivals with regard to content. In addition, while pay-TV penetration across Africa is growing, it remains low compared to international norms. Boosted by a growing and urbanising population, this provides plenty of room for long-term subscriber growth across the continent. We have valued the MultiChoice Group at around R200/share. However, a number of factors lead us to believe that the share may trade well below its intrinsic value in the near future. While the MultiChoice South Africa business has seen consistent profitability and cash generation, fairly large losses have occurred in the rest of the African operations over the past few years. With the sizeable losses in the rest of Africa, and accounting for the 25% black economic empowerment minority holding in the South African business, together with fully taxed South African profits and revenue tax in certain African countries, the result is a relatively depressed earnings base for the group. For example, in the 2018 financial year, MultiChoice South Africa earned R10.5-billion in trading profit, but only R1.3-billion in core earnings was reported at group level (adjusted for the further 5% transfer to BEE shareholders in the South African business). On the other hand, if the group can successfully turn around profitability in the rest of Africa, it should be able to report strong future earnings growth from the current low base. Another factor that may lead to a depressed MultiChoice Group share price is the potential for indiscriminate selling of shares by current Naspers shareholders who may not wish to own the broadcaster following the unbundling. To comply with local broadcasting requirements, foreign shareholders have restricted voting rights. The disruptive impact of streaming players like Netflix may also deter foreign investors, even though low penetration and poor access to affordable Internet broadband in the markets MultiChoice serves as a large barrier to entry in Africa for such competitors. Despite the potential short-term overhang on MultiChoice, we believe there is a long-term investment case for the group. It has a strong portfolio of video content and sports broadcasting rights. There has been much focus on the creation of local content, which differentiates it from its international competitors. It also has the largest scale in its markets, which helps it to acquire better content as it can spread the cost over a larger subscriber base. Subscriber growth has been strong over recent years, although this has been driven by lower-end packages carrying a lower monthly subscription. Pay-TV subscription penetration in Africa is still very low compared to international standards, which provides plenty of runway for growth. MultiChoice is mainly a fixed-cost business, with the acquisition of content the biggest single cost item. The sharp depreciation of currencies in the countries in which it operates has been the biggest contributor to rising trading losses in its rest-of-African operations. In addition, the group has had to acquire a large portion of its content in US dollars and has struggled to pass on cost increases to subscribers in local currencies. The rest-of-Africa strategy is to now focus primarily on mass-market subscriber growth in more affordable packages. While quick-win cost savings are being made by optimising content costs, the return to profitability in the rest of Africa will be driven by operating scale over time. 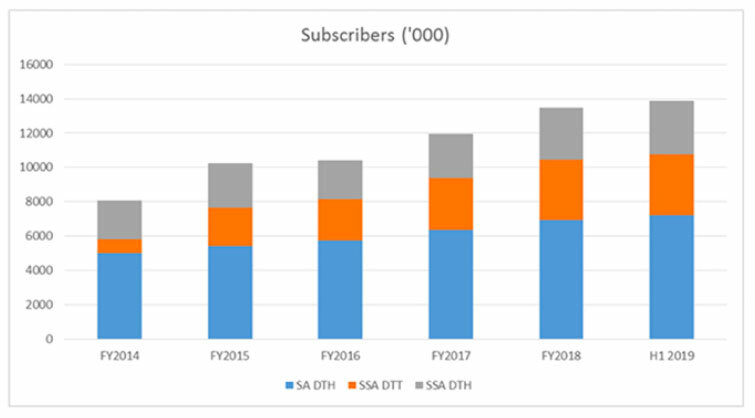 The strong growth in subscriber numbers does bring some short-term earnings headwinds since MultiChoice provides generous subsidies to consumers for the installation of set-top boxes, costing the group around R3-billion/year (almost 50% of trading profit). The capex requirement on the network has declined over recent years, as the group’s network is now largely set up for its growth requirements. Operating leverage should therefore be quite favourable over the coming years if MultiChoice can keep the subscriber growth up. Taking a conservative route, if we put a negative value of R15-billion on the non-South African operations, the current share price implies an 8.5 times price-to-earnings ratio (for South Africa). This is attractive given the resilience and cash-generative nature of MultiChoice South Africa. If we value the rest of Africa in line with its medium-term potential at R10.7-billion, the market-implied value for the South African operations is only 4.5 times. The share price may remain under pressure while the shareholder base stabilises, but with MultiChoice trading at around R95 at the timing of writing, we believe it is offering good value.